Many of us love cheese! Cheese is a delicacy, be it fried, baked, used for stuffing, or just as an accompaniment to a nice glass of wine. But how much do we know about its nutritional properties? How healthy is it? Stay tuned while we explore feta cheese nutrition facts! Most cheeses are often a main ingredient in unhealthy dishes, which are high in saturated fat and calories, but if used with moderation and paired with healthy food, cheese will surely play a beneficial role to you diet. For all the cheese lovers out there we have the perfect kind of cheese for you, whose nutritional value will make you feel far less guilty! Feta cheese is a traditional Greek cheese produced with sheep’s or goat’s milk and stands out easily with its bold and tangy flavor. 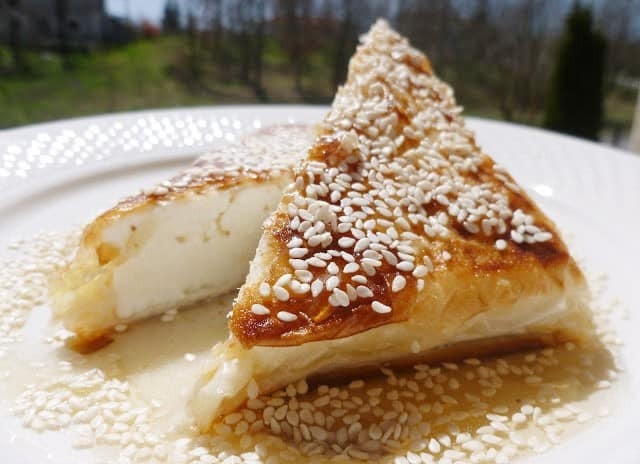 Feta cheese is a key ingredient in Mediterranean diet, as it used in many dishes, such as Greek salad, savory cheese or vegetable pies, or as a delicious appetizer (meze), baked or fried with sweet or sour –sweet honey based sauces. Feta is actually lower in calories than many other cheeses, plus thanks to its flavor, one can eat less, without feeling cheated! But what about the feta cheese nutrition facts? When made from sheep’s milk, feta can provide more of a nutritional boost, as sheep’s milk contains higher levels of vitamins and minerals than cow’s milk. A wedge of feta supplies 19% of the daily recommended intake of calcium, which is important for bone health and prevention of osteoporosis. It is also high in proteins, it reinforces your immune function perfect for when your immune system is weakened, especially during the winter. One serving of feta cheese contains 14% of the riboflavin you need daily, offering a great antioxidant protection, which helps prevent signs of aging and, according to recent studies, helps avoid migraines. Also full of other vitamins and minerals, feta cheese (when eaten with moderation) will definitely boost your energy levels! Over the years we have accumulated a great variety of healthy tasty feta cheese recipes that will help you turn this nutritional ingredient to a tasty meal! Below are our hand picked favorites for your enjoyment. Click on the image to go to the recipe. For all of our feta cheese recipes click here. Feel free to browse and let us know what you think! 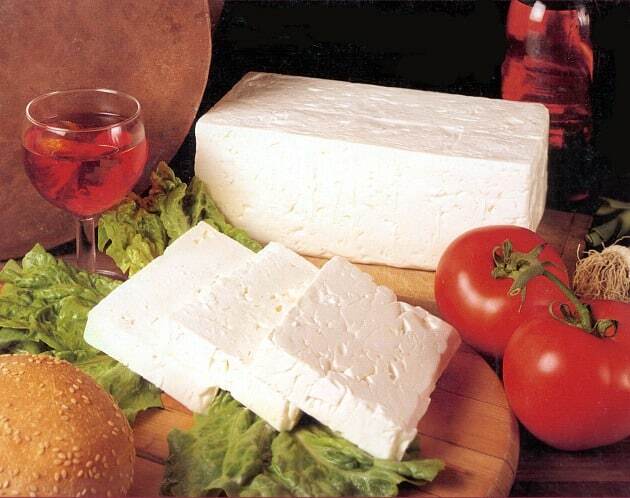 and the best Feta of all is from Epirus. But what upsets me is that while in Europe there are strict rules protecting the Hellenism and thus the style, the taste… of feta, these rules do not exist in the USA and Australia where European manufacturers show their insulting contempt for Hellas.